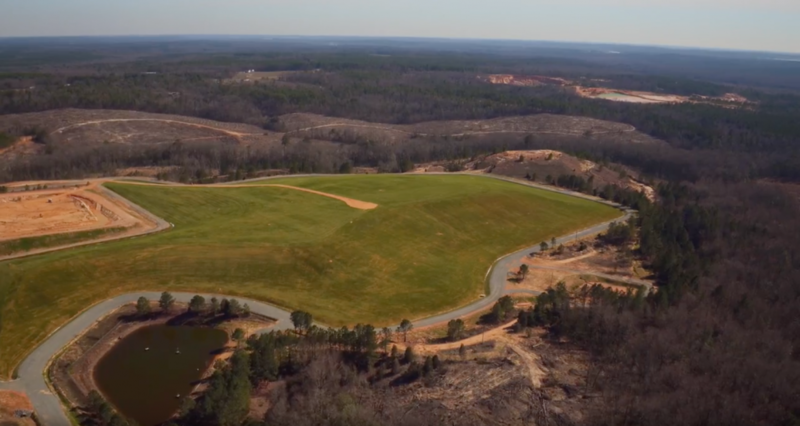 The Baldwin County Landfill marks a historical final closure as not only the first of its kind in the state of Georgia, but one of the first in the country to feature an entirely new landfill design process utilizing the ClosureTurf® system. Featuring an innovative technology, called ArmorFill™, the system eliminated the need for diversion berms, benches and down chutes by completely changing the hydrology methods in the traditional design. In 2016, Baldwin County Board of Commissioners sought a design-build option for the closure of the 21.5 acre, Phase 3 Union Hill Church Road landfill. Oasis Consulting Services, a metro-Atlanta based woman-owned engineering consulting firm, was awarded the contract and obtained the Georgia Environmental Protection Division (EPD) approval of ClosureTurf in lieu of a traditional vegetated cap. With SPLOST funds stretched, the county was relieved that the design-build solution from Oasis came in $1.5 million under traditional procurement. The approved ClosureTurf® system attributed to much of the cost savings. It eliminated the standard USEPA costly, lowpermeability clay liner, as well as vertical in-waste gas collection wells. But the real distinctive advantage was the use of ArmorFill™, an innovation created by Watershed Geo to enhance the hydraulic benefits of ClosureTurf. ArmorFill is an environmentally-friendly binding agent that is added to the top protective sand infill layer of the system. Even with slopes steeper than 3:1 in some locations, ArmorFill allows the entire cap to sheet flow to the perimeter ditches, eliminating the need for diversion berms (used to combat drainage length) and downslope channels (energy dissipation). This cutting edge design ultimately created a domino effect in cost savings and risk management for the county. will not be necessary to grow and maintain grass; and the elimination of soil erosion and sediment-laden runoff from the cap. As acknowledgement for their innovative approach, Baldwin County and Oasis Consulting Services was awarded the 2017 Georgia Chapter American Public Works Association engineering award for innovative, small/rural community projects.